When you go to a Brötzmann concert in Germany, they are not really crowded in general. The reason mainly is that he has been touring a lot and many people have seen him quite often. Recently when I spoke after a show with young German drummer Oliver Steidle, I asked him how Brötzmann was doing because at close range he looked a bit rough (on the other hand he had just turned 75 in March). He said that he was okay for his age but had problems with his lungs, blowing out was still alright but breathing in was a problem due to smoking a lot when he was younger. I was a bit worried hearing this but then again it was a very good show although he could only play a one-hour-set plus encore. He seems to have become a bit mellow with age, there is more melancholic bluesy stuff than harsh outbursts which fits his style perfectly, though. And if you have a look at his homepage, the spring is packed with tours and single dates all over Europe and Japan. On top of this there is a steady output of new releases, here is a short overview of the latest ones. 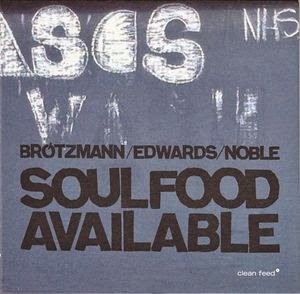 Soulfood Available is Brötzmann’s second album with this trio. His ties with Edwards go back a long time and Noble seems to be one of his favorite drummers recently. When I said that Brötzmann’s tone was a bit mellower lately, this album could prove me wrong, at least partly. Everything that has made his latest work so great is presented here: his familiar call to arms (as Colin calls it), the “Master of a Small House” theme (although barely recognizable since it is alienated and overblown), the shivering notes, his aggressive approach to his material. He is supported by Edwards’ and Noble’s city jungle rhythms, which deliver a dark pulse for Brötzmann’s outbursts as well as for the quieter moments. A rock solid free jazz album, you can’t go wrong with it. 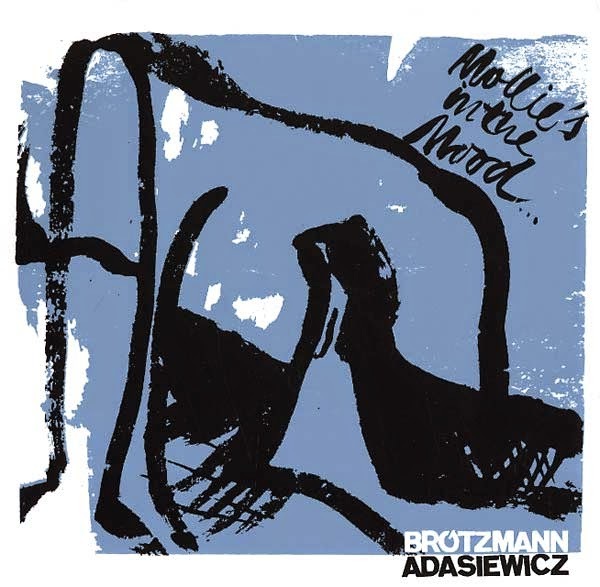 When Brötzmann worked together with Jason Adasiewicz it was indeed his first collaboration with a vibraphonist and since then (on Going All Fancy in 2012) he has played with him several times, even in a quartet with John Edwards and Steve Noble that also released the splendid Mental Shake. Mollie’s in the Mood rather shows the new Brötzmann, more placable, introspective, less angry – but still gripping. A perfect example is the beginning of the title track, one of the most accessible tracks Brötzmann has recorded in his career. It is a pure jazz ballad that could almost pass as free cool jazz. Adasiewicz’s style is brittle and crystal clear again, as if his instrument was made of ice. He contrasts Brötzmann in a strange but perfect way, no matter if the old colossus of Wuppertal decides to play in an Ayler-esque or melancholic way. Red Cloud on Silver is available on double vinyl. It’s an edition of 300 only, so you better be quick. Looking at Brötzmann’s career and at the people he played with you might think that he had played with almost everybody who has a name in improvised music. In this context it’s interesting that he has chosen two guitars, an instrument he seems to have a particular interest in lately (have a look at his website www.peterbroetzman.com and you’ll see that he plays with this group in Japan in April and with pedal steel guitarist Heather Leigh in Glasgow). Haino is one of his long time companions, and here you find the Japanese madman on guitar and vocals, although he is rather barking than singing. As usual he is the good old thirsty animal you either love or hate. Jim O’Rourke adds some wonderful Ry Cooder-like slide guitar riffs which make the whole brew sound like Captain Beefheart. It’s surprising how the three get along together, there are moments of immaculate intimacy. 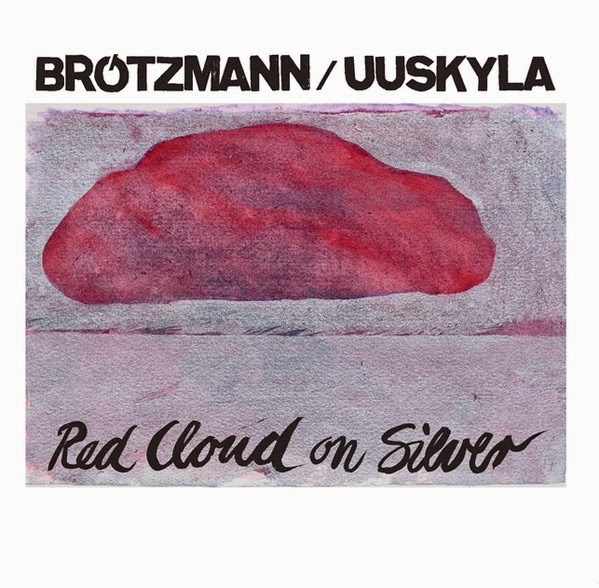 In the huge Brötzmann discography this is an interesting new color. 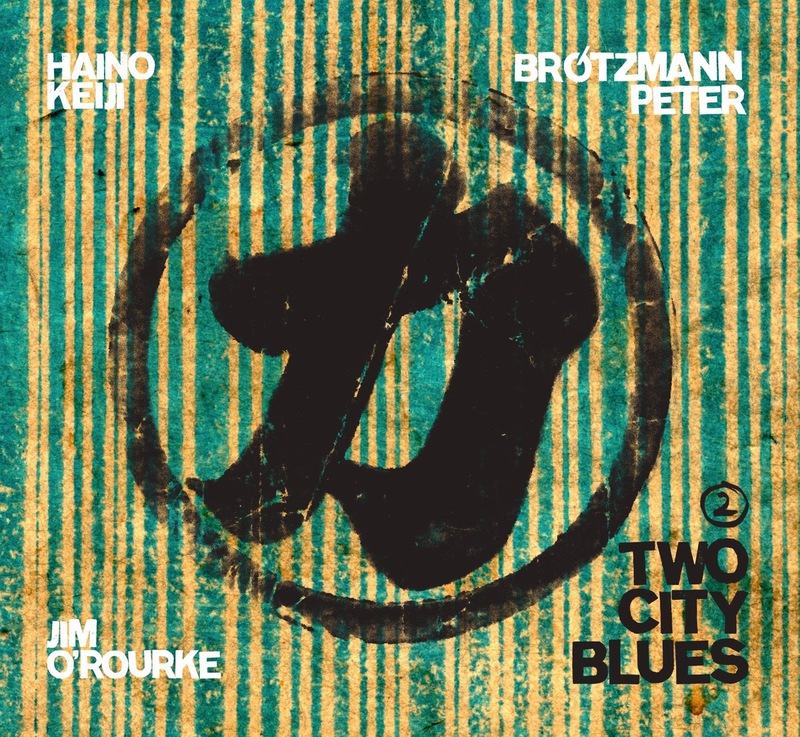 Two City Blues 2 is available on CD only. You can buy it from www.instantjazz.com. Interestingly enough Two City Blues 1 was released after Two City Blues 2. The recordings were taken from the same tour but part 1 is even a bit more interesting than part 2. Keiji Haino is only on guitar here, there are no vocal eruptions, O’Rourke’s slide guitar is wilder and more ecstatic, it is rather contrasting Haino’s staccato style – including some high pitched frequencies that could make glass burst. Brötzmann seems to wrestle with the guitars, especially when they try to push the performance into calmer, more melodic waters. Usually he doesn’t allow this, and he tries to undermine their attempts relentlessly. Only at the very endings of the two tracks, the mood is more conciliable. In the title track Brötzmann leaves this part to the guitars, in “Eyes Stay the Same” he joins them – vulnerable, crying, desperate. 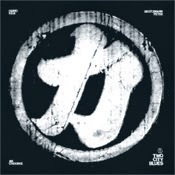 Two City Blues 1 is available on vinyl only. You can buy both – vinyl and CD – from www.instantjazz.com or directly from the label http://www.trost.at/. Six weeks after the show with Olli Steidle I saw Brötzmann playing with Steve Swell (tb) and Paal Nilssen-Love at the Manufaktur in Schorndorf – and it was a fascinating performance. The trio played as if they had been together for years (albeit it was only their fourth gig). Brötzmann was in perfect shape and after the show we sat together with some people and he was telling stories, joking, he was witty – and he looked much better than some weeks before. On our way home my friend Riccarda (who booked Brötz’s tour with Swell and PNL with her partner Ralf) checked her facebook account and somebody asked her if she had some recommendations as to Brötzmann’s albums. The guy said that he had seen him twice but he didn’t have any of his recordings. He could start with any of the albums mentioned above (or with one of the classics), he wouldn’t be disappointed. Peter Brötzmann keeps on touring – and he keeps on releasing excellent stuff. I hope he will be able to continue for a long time. Both the Two City Blues albums were recorded on the same day: 23 November 2010, presumably the first and second sets. I agree, the first is preferable. I always rejoice at reading you comment Brötzmann releases, Martin. In Paris, we were lucky to see the Die like a dog trio in january (apparently the trio's first concert in France), and last year the Brötzmann and Noble duo. PB seems to be on a sort of never-ending tour, and has really been releasing a lot in the last years, I don't know how he does it. Thank you very much, Olivier. Brötzmann has been the crucial figure in my love for free jazz (together with Cecil Taylor) and I have seen him lots of times in wonderful combinations (Chicago Tentet, März Combo, Die like a Dog Quartet - to name a few). Since he is 74 years old now I decided to watch him as often as possible - almost always he doesn't disappoint you. The extensive interview that The Wire did on Brotz a couple years ago, Last Man Standing, was one of the most impressive and revealing portrait of an artist I've ever read. He made it very clear that he doesn't expect the aging process to impede his musical performances which the subsequent output has very much borne out. A quintessential giant of the genre. "Two City Blues 1 is available on vinyl only." What a nightmare. I don't do Vinyl, so I can't hear the "more interesting" part of the concert. Wow. I do CD's. I don't do digital downloads. As it is I have lots of music I need to buy/ I love Brotzmann, I love Haino. The combination is exciting - but I'm going to skip both now. Either I can get the whole show, or not. Call it a protest at being denied an adequate choice. Sorry.